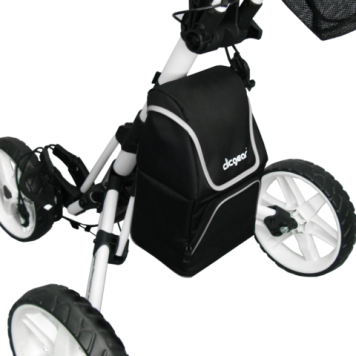 The Clicgear® Cooler Bag allows for easy cold drink and snack storage on the course with your Clicgear Cart. ** Cannot be used on other Clicgear® or Rovic® Brand Carts due to the mounting clip. Fits only Clicgear® Model 1.0, Model 2.0, Model 3.0 Carts and Model 3.5 Plus Carts.